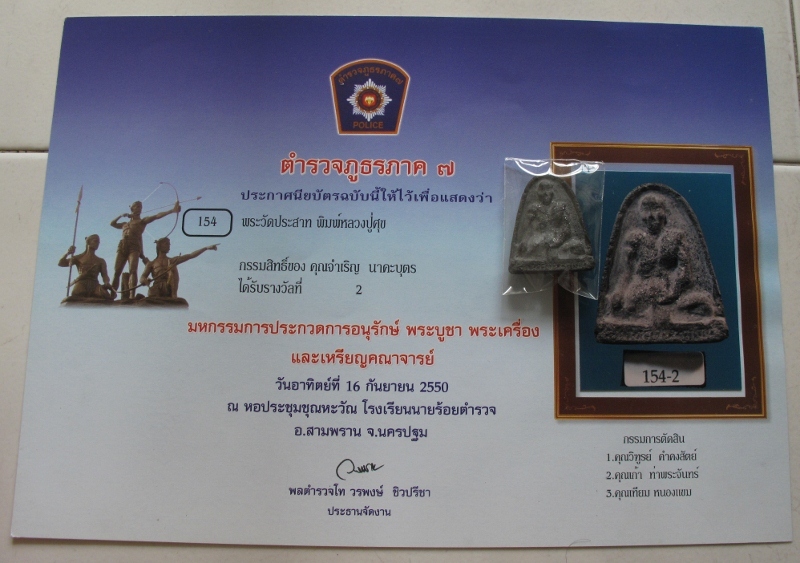 Production objective: store amulets into Chedi and give away to people who join the amulet consecration ceremony. (1) 6th – 9th March 1963, there were well-known 234 Luang pos coming to chant, fully 4 days 4 nights. (2) 13th – 15th November 1963, there were well known 108 Luang pos coming to consecrate, fully 3 days 3 nights. 4. Loog aom (holy ball) consecrated by Luang po Nim of Wat Noi, Supanbuiri. 14. Holy mineral grains throughout Thailand. 15. 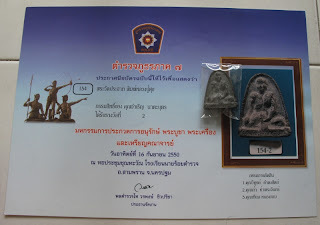 Holy and black soil as main material to make 1st Luang po Thaud 1954 batch from Pattani province. 16. 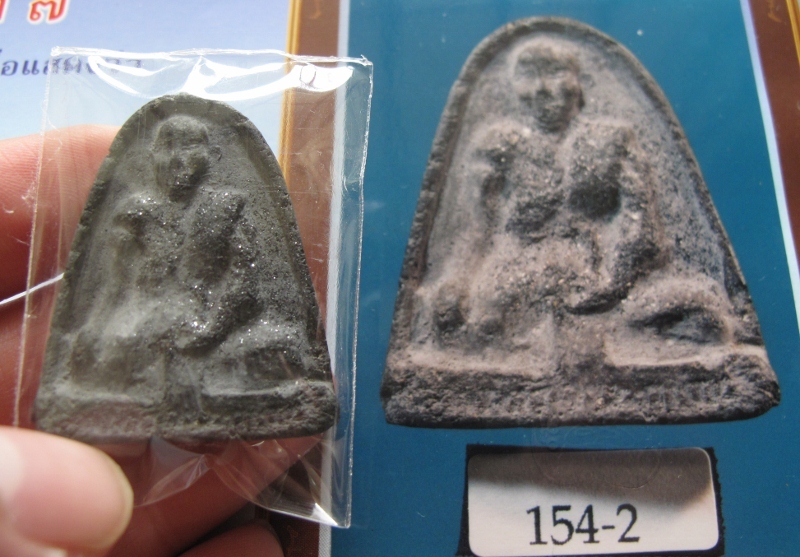 Broken- piece Phra Kru (found-in-Chedi amulet) from Supanburi province. 17. Broken- piece Phra Kru (found-in-Chedi amulet) of Wat Am Pha Wa (One of the top amulet in Samutsongkam province. 19. Consecrated powder by Luang poo Nak of Wat Ra Kang, Bangkok province etc. 11. Luang po Thit of Wat Pha Rat Rai, Supanburi province. 12. Luang po Moi of Wat Don Rai, Supanburi province etc. Amulet consecration ceremony at Phra Sart Boon Ya Wart temple is one of the biggest amulet ceremonies since 2506 (1963) until now.